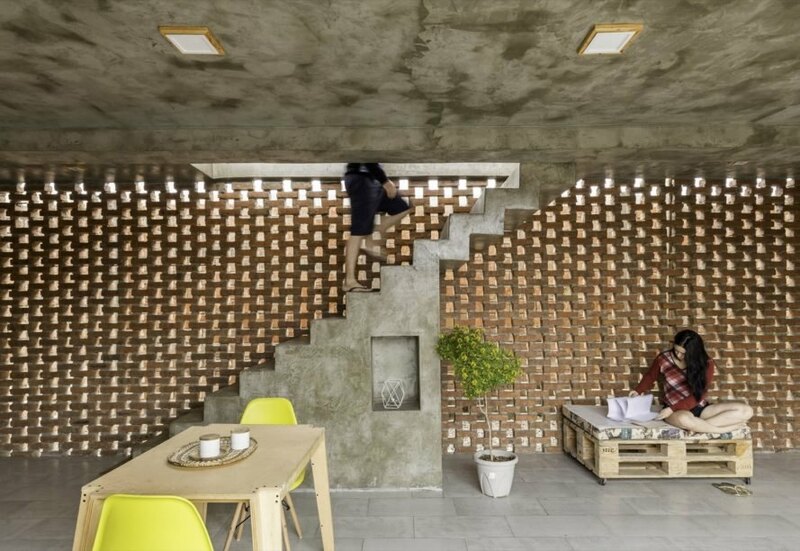 Ecuadorian architecture firm Natura Futura Arquitectura has completed the Stilts House, an elevated brick home that opens up to the outdoors with a perforated facade. 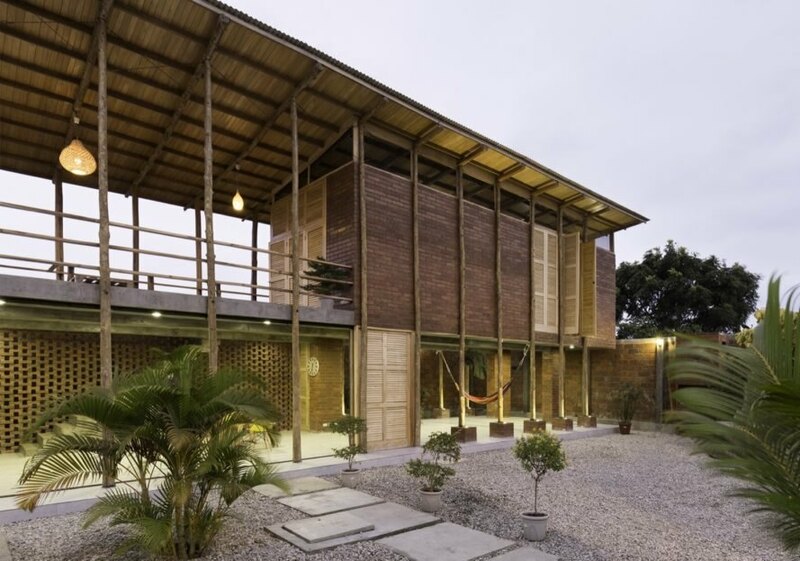 Located in General Villamil, a coastal canton of the province of Guayas, the Stilts House celebrates the UNESCO-recognized region’s superb climate and culture of great craftsmanship through its site-specific design. Built of local natural materials and concrete, the home spans 1,722 square feet across two floors. 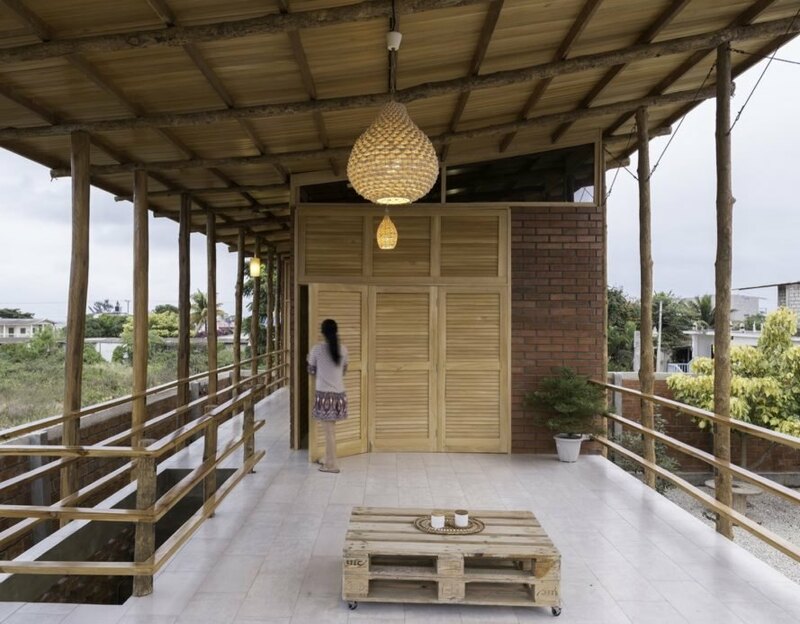 Named after its system of teak pillars, the Stilts House includes three bedrooms, three bathrooms, a kitchenette, dining area, an enclosed outdoor courtyard, hammock space and two living areas, one on each floor. The main living spaces of the brick home, including the hammock area, are placed on the first floor, and the secondary living area and the bedrooms are located above. 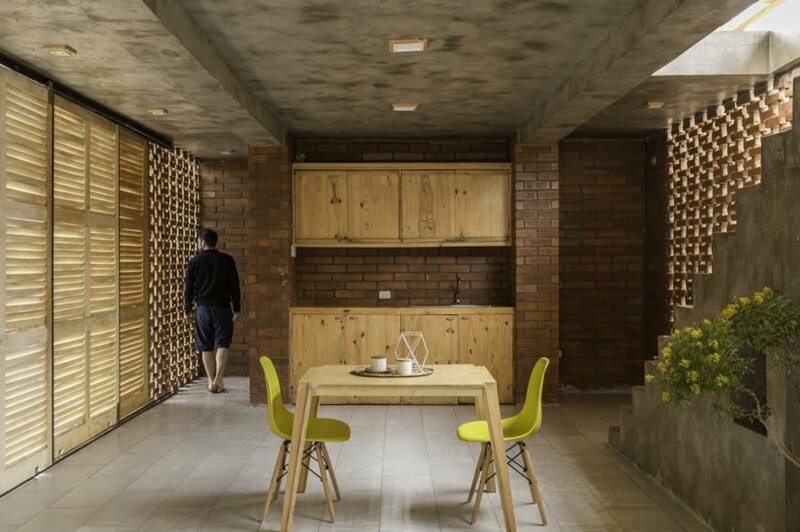 To tie the residence into its surroundings, the architects used locally sourced materials including traditional baked bricks laid in a pattern that allows ventilation; no glass was used. 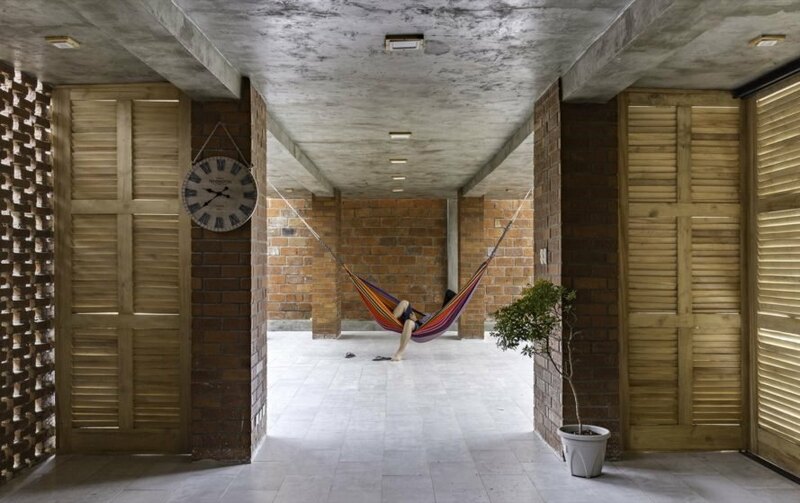 “On the ground floor, and integrated with the outside and their day-to-day activities, there is a social area that closes in on itself, and opens toward the interior of the house as a rest area with hammocks,” said Natura Futura Arquitectura in its project statement. “This will generate micro-climates, through the material and its new features.” Timber shutters and sliding doors provide additional privacy and can be easily opened up to connect the interior with the outdoors. The home derives its name from its teak pillars. The second floor also features an open-air living area. The bedrooms are located in the brick volume on the second floor. An open-plan dining area, kitchen and living space are on the first floor. A view of the hammock area. Concrete steps lead to the open-air living space. 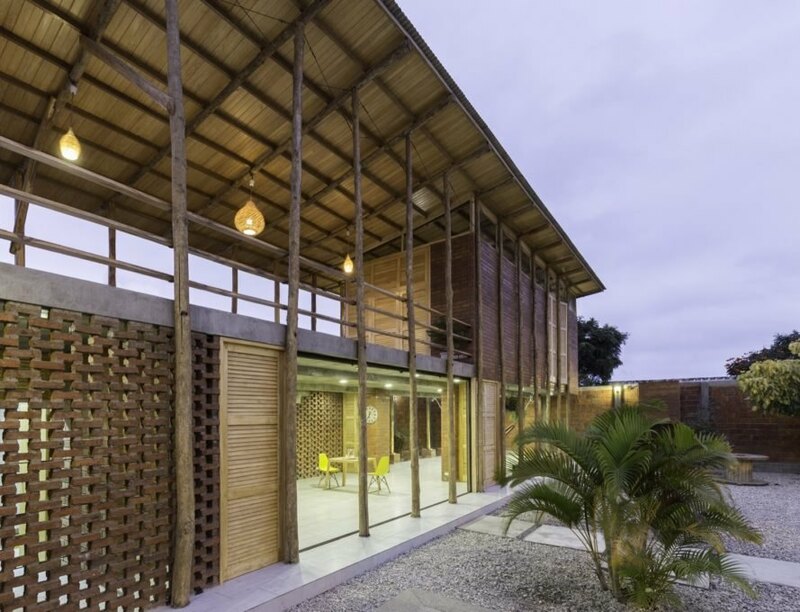 The house opens up to an enclosed outdoor courtyard.